We have access to a huge range of Sit On Top Kayaks and are the leading supplier in the UK for the brands listed below. Other brands are also available to order, please Contact Us if you would like further information. Ocean Kayaks were one of the first manufacturers to make Sit On Top Kayaks and are well known in the UK especially the Frenzy, Malibu 2 and Trident Fishing Kayaks. Perception Kayaks are made in the UK and are offer a top selling ranges of kayaks including the Triumph 13 Comfort for touring and kayak fishing. 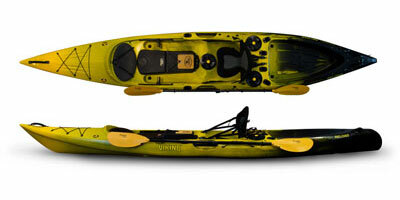 Viking Kayaks are made in New Zealand and designed to handle coastal conditions. 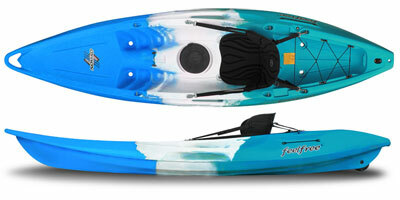 Very popular for kayak fishing around the UK and Ieland coastlines. Wilderness Systems manufacturer Sit On Tops in the US and the UK. The most popular models are made in the UK including the Tarpon 100 and Tarpon 120.